Click here to start your qualification! Incumbent banks are expected to remain as the cornerstone of the FS sector, however they need to embrace the FinTech wave by shifting towards a “platform model” where ownerships and roles are shared amongst several (a host of chosen) partners/players. On the other hand, disruptive value of FinTechs’ will be truly felt if they find a way past the next hurdle to innovation – scale up. Scaling up requires particular strategies, approaches and capabilities from the outset. This is where incumbents can make a difference in FinTechs’ fight for survival. Success will depend upon the ability to create a partner ecosystem with the best suited players and establish a sustainable engagement model. Explore World FinTech Report 2018 to learn more. Capgemini can help bridge this gap and create a winning formula for both sides of the coin. We offer Innovation as-a-service to the traditional firms who are looking for right FinTech partners. Supported by our ScaleUp Qualification program for FinTechs, Capgemini helps orchestrate the right partner ecosystem, enabling effective collaboration. Capgemini has developed an assessment tool which evaluates the Scale-Up candidates across four dimensions- People, Finance, Business and Technology via a rigorous four step process encompassing web scraping, self-declaration, expert interviews and finally client feedback. As a result, FinTechs receive a qualification level based on this assessment: Promising, Emerging, Intermediate and Advanced. For banks and FS firms that are looking to partner with FinTechs, Capgemini offers Innovation-as-a-service. Capgemini engages with clients holistically starting right from identifying the business problem; selecting the right partner/s and establishing an effective business model. As a financial services digital transformation leader, our qualification process and innovation models are backed by more than 30+ years of banking and financial services experience and extensive industry research. Clients benefit with access to Capgemini’s global network of Applied Innovation Exchanges which brings together a broad community of designers, technologists, sector experts, business and technology partners, academics, research organizations and start-ups. Capgemini has also joined forces with one of the premier accelerator networks Startupbootcamp to provide mentoring, consulting, and providing qualification for startups and scaleups in financial services. For more information, write to us at financialservices@capgemini.com. 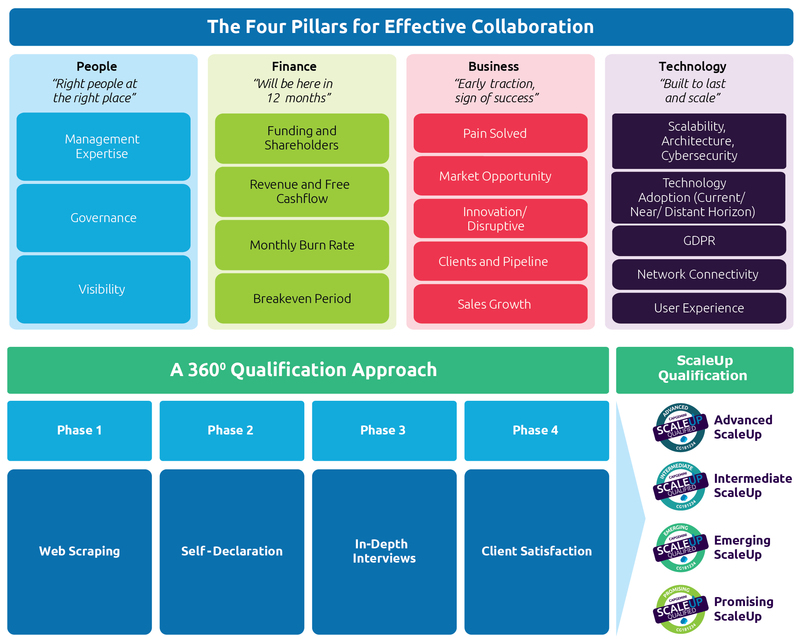 Capgemini’s ScaleUp Qualification Program (the “Program”) is based on the participating companies’ self-declarations and publicly available information. Capgemini does not guarantee nor audit the information provided by the participating companies and does not endorse nor certify them. Any use of the results of the Program by any third party is at its own risk. Participating in the Program does not entail any kind of partnership or commercial relationship between Capgemini and the participating companies.